Two years ago when I bought my Hartley TS16 sail boat I dreamed of converting it to solar power. In January I installed a Torqueedo electric outboard and a 24V, 100AH Lithium battery back. That’s working really well. Next step was to work out a way to mount some surplus 200W solar panels on the boat. The idea is to (temporarily) detach the mast, and use the boat on the river Murray, a major river that passes within 100km of where I live in Adelaide, South Australia. With a matching rubber foot on each leg, the panels sit firmly on the gel coat of the boat, and are held down by ropes or octopus straps. The panels maximum power point is at 28.5V (and 7.5A) which is close to the battery pack under charge (3.3*8 = 26.4V) so I decided to try a direct DC connection – no inverter or charger. I ran some tests in the back yard: each panel was delivering about 4A into the battery pack, and two in parallel delivered about 8A. I didn’t know solar panels could be connected in parallel, but happily this means I can keep my direct DC connection. Horizontal panels costs a few amps – a good example of why solar panels are usually angled at the sun. However the azimuth of the boat will be always changing so horizontal is the only choice. The panels are very sensitive to shadowing; a hand placed on a panel, or a small shadow is enough to drop the current to 0A. OK, so now I had a figure for panel output – about 4A from each panel. This didn’t look promising. Based on my sea voyages with the Torqueedo, I estimated I would need 800W (about 30A) to maintain my target houseboat speed of 4 knots (7 km/hr); that’s 8 panels which won’t ft on my boat! However the current draw on the river might be different without tides, and waves, and I wasn’t sure exactly how many AH I would get over a day from the sun. Would trees on the river bank shadow the panels? So it was off to Younghusband on the Murray, where our friend Chris (VK5CP) was hosting a bunch of Ham Radio guys for an extended Anzac day/holiday weekend. It’s Autumn here, with generally sunny days of about 23C. The sun is up from from 6:30am to 6pm. Turns out that even with two panels – the solar boat was really practical! Over three days we made three trips of 2 hours each, at speeds of 3 to 4 knots, using only the panels for charging. Each day I took friends out, and they really loved it – so quiet and peaceful, and the river scenery is really nice. After an afternoon cruise I would park the boat on the South side of the river to catch the morning sun, which in Autumn appears to the North here in Australia. I measured the panel current as 2A at 7am, 6A at 9am, 9A at 10am, and much to my surprise the pack was charged by 11am! In fact I had to disconnect the panels as the cell voltage was pushing over 4V. On a typical run upriver we measured 700W = 4kt, 300W = 3.1kt, 150W = 2.5kt, and 8A into the panels in full sun. Panel current dropped to 2A with cloud which was a nasty surprise. We experienced no shadowing issues from trees. The best current we saw at about noon was 10A. We could boost the current by 2A by putting three guys on one side of the boat and tipping the entire boat (and solar panels) towards the sun! Even partial input from solar can have a big impact. Lets say at 4 knots (30A) I can drive for 2 hours using 60% of my 100AH pack. If I back off the speed a little, so I’m drawing 20A, then 10A from the panels will extend my driving time to 6 hours. We gently e-motored back and actually recorded our best results – 3 knots on 300W, 10A from the panels, 10A to the motor. With 4 panels I would have a very practical solar boat, capable of 4-6 hours cruising a day just on solar power. The 2 extra panels could be mounted as a canopy over the rear of the boat. I have an idea about an extended solar adventure of several days, for example 150km from Younghusband to Goolwa. For my next big project I'm planning on making it run using power over ethernet. Back in March I designed a quick circuit using the TI TPS2376-H PoE termination chip, and an LMR16020 switching regulator to drop the ~48v coming in down to 5v. There's also a second stage low-noise linear regulator (ST LDL1117S33R) to further drop it down to 3.3v, but as it turns out the main chip I'm using does its own 5->3.3v conversion already. Because I was lazy, and the pricing was reasonable I got these boards manufactured by pcb.ng who I'd used for the USB-C termination boards I did a while back. Here's the board running a Raspberry Pi 3B+, as it turns out I got lucky and my board is set up for the same input as the 3B+ supplies. One really big warning, this is a non-isolated supply, which, in general, is a bad idea for PoE. 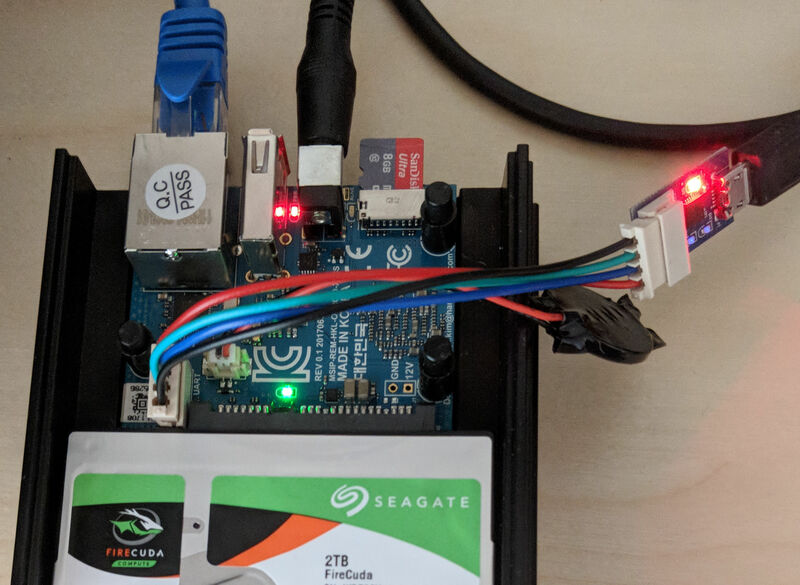 For my specific use case there'll be no exposed connectors or metal, so this should be safe, but if you want to use PoE in general I'd suggest using some of the isolated convertors that are available with integrated PoE termination. I failed to add any test pins, given this was the first try I really should have, being able to inject power just before the switching convertor was helpful while debugging, but I had to solder wires to the input cap to do that. Similarly, I should have had a 5v output pin, for now I've just been shorting the two diodes I had near the output which were intended to let me switch input power between two feeds. The last, and the only actual problem with the circuit was that when selecting which exact parts to use I optimised by choosing the same diode for both input protection & switching, however this was a mistake, as the switcher needed a Schottky diode, and one with better ratings in other ways than the input diode. With the incorrect diode the board actually worked fine under low loads, but would quickly go into thermal shutdown if asked to supply more than about 1W. With the diode swapped to a correctly rated one it now supplies 10W just fine. While debugging the previous I also noticed that the thermal pads on both main chips weren't well connected through. It seems the combination of via-in-thermal-pad (even tented), along with Kicad's normal reduction in paste in those large pads, plus my manufacturer's use of a fairly thin application of paste all contributed to this. Next time I'll probably avoid via-in-pad. Coming soon will be a post about the GPS board, but I'm still testing bits of that board out, plus waiting for some missing parts (somehow not only did I fail to order 10k resistors, I didn't already have some in stock). One of their products is the ODROID-HC1, a mini NAS designed to take a single 2.5? SATA drive (HC stands for “Home Cloud”) which comes with 2GB RAM and a Gigabit Ethernet port. There is also a 3.5? model called the HC2. Both of these are based on the ODROID-XU4, which itself is based on the previous iteration ODROID-XU3. All of these are based on the Samsung Exynos5422 SOC and should work with the following steps. ODROID-HC1 with UART, RTC battery, SD card and 2.5? drive. First things first, we need to enable the serial console and turn off cpuidle else it won’t boot. We do this by mounting the boot partition on the SD card and modifying the extlinux bootloader configuration. Back in the day Google had an internal short URL service (think bit.ly, but for internal things). It was called “go” and lived at http://go. So what should I write as my first golang program? go of course. The implementation is on github, and I am sure it isn’t perfect. Remember, it was a learning exercise. I mostly learned that golang syntax is a bit bonkers, and that etcd hates me. This code stores short URLs in etcd, and redirects you to the right place if it knows about the short code you used. If you just ask for the root URL, you get a list of the currently defined short codes, as well as a form to create new ones. Not bad for a few hours hacking I think. So you write an etcd app in a different language from your previous apps and it can’t see the data that the other apps wrote? Check the versions of your client libraries. The v2 and v3 data stores in etcd are different, and cannot be seen by each other. You need to convert your v2 data to the v3 data store before it will be visible there. The pyconau call for proposals is now open, and runs until 28 May. I took my teenagers to pyconau last year and they greatly enjoyed it. I hadn’t been to a pyconau in ages, and ended up really enjoying thinking about things from topic areas I don’t normally need to think about. I think expanding one’s horizons is generally a good idea. something about privsep: I think a generalised way to make privileged calls in unprivileged code is quite interesting, especially in a language which is often used for systems management and integration tasks. That said, perhaps its too OpenStacky given how disinterested in OpenStack talks most python people seem to be. nova-warts: for a long time my hobby has been cleaning up historical mistakes made in OpenStack Nova that wont ever rate as a major feature change. What lessons can other projects learn from a well funded and heavily staffed project that still thought that exec() was a great way to do important work? There’s definitely an overlap with the privsep talk above, but this would be more general. a talk about how I had to manage some code which only worked in python2, and some other code that only worked in python3 and in the end gave up on venvs and decided that Docker containers are like the ultimate venvs. That said, I suspect this is old hat and was obvious to everyone except me. something else I haven’t though of. Anyways, I’m undecided. Comments welcome. Also, here’s an image for this post. Its the stone henge we found at Guerilla Bay last weekend. I assume its in frequent use for tiny tiny druids. Over the past decade I have been involved in several efforts trying to make governments better. A key challenge I repeatedly see is people trying to change things without an idea of what they are trying to change to, trying to fix individual problems (a deficit view) rather than recognising and fixing the systems that created the problems in the first place. So you end up getting a lot of symptomatic relief and iterative improvements of antiquated paradigms without necessarily getting transformation of the systems that generated the problems. A lot of the effort is put into applying traditional models of working which often result in the same old results, so we also need to consider new ways to work, not just what needs to be done. With life getting faster and (arguably) exponentially more complicated, we need to take a whole of system view if we are to improve ‘the system’ for people. People sometimes balk when I say this thinking it too hard, too big or too embedded. But we made this, we can remake it, and if it isn’t working for us, we need to adapt like we always have. I also see a lot of slogans used without the nuanced discussion they invite. Such (often ideological) assumptions can subtly play out without evidence, discussion or agreement on common purpose. For instance, whenever people say smaller or bigger government I try to ask what they think the role of government is, to have a discussion. Size is assumed to correlate to services, productivity, or waste depending on your view, but shouldn’t we talk about what the public service should do, and then the size is whatever is appropriate to do what is needed? People don’t talk about a bigger or smaller jacket or shoes, they get the right one for their needs and the size can change over time as the need changes. Indeed, perhaps the public service of the future could be a dramatically different workforce comprised of a smaller group of professional public servants complimented with and a large demographically representative group of part time citizens doing their self nominated and paid “civic duty year of service” as a form of participatory democracy, which would bring new skills and perspectives into governance, policy and programs. We need urgently to think about the big picture, to collectively talk about the 50 or 100 year view for society, and only then can we confidently plan and transform the structures, roles, programs and approaches around us. This doesn’t mean we have to all agree to all things, but we do need to identify the common scaffolding upon which we can all build. What future do you want? Not what could be a bit better, or what the next few years might hold, or how that shiny new toy you have could solve the world’s problems (policy innovation, data, blockchain, genomics or any tool or method). What is the future you want to work towards, and what does good look like? Forget about your particular passion or area of interest for a moment. What does your better life look like for all people, not just people like you? What do we need to get there? What concepts, cultural values, paradigm, assumptions should we take with us and what should we leave behind? What new tools do we need and how do we collectively design where we are going? What is the role of gov, academia, other sectors and people in that future? If we could create a better collective understanding of our roles in society and some of the future ideals we are heading towards, then we would see a natural convergence of effort, goals and strategy across the community. What will you do today? Seriously. Are you differentiating between symptomatic relief and causal factors? Are you perpetuating the status quo or challenging it? Are you being critically aware of your bias, of the system around you, of the people affected by your work? Are you reaching out to collaborate with others outside your team, outside your organisation and outside your comfort zone? Are you finding natural partners in what you are doing, and are you differentiating between activities worthy of collaboration versus activities only of value to you (the former being ripe for collaboration and the latter less so). How do we scale change? I believe we need to consider how to best scale “innovation” and “transformation”. Scaling innovation is about scaling how we do things differently, such as the ability to take a more agile, experimental, evidence based, creative and collaborative approach to the design, delivery and continuous improvement of stuff, be it policy, legislation or services. Scaling transformation is about how we create systemic and structural change that naturally drives and motivates better societal outcomes. Each without the other is not sustainable or practical. How to scale innovation and transformation? I’ll focus the rest of this post on the question of scaling. I wrote this in the context of scaling innovation and transformation in government, but it applies to any large system. I also believe that empowering people is the greatest way to scale anything. I’ll firstly say that openness is key to scaling everything. It is how we influence the system, how we inspire and enable people to individually engage with and take responsibility for better outcomes and innovate at a grassroots level. It is how we ensure our work is evidence based, better informed and better tested, through public peer review. Being open not only influences the entire public service, but the rest of the economy and society. It is how we build trust, improve collaboration, send indicators to vendors and influence academics. Working openly, open sourcing our research and code, being public about projects that would benefit from collaboration, and sharing most of what we do (because most of the work of the public service is not secretive by any stretch) is one of the greatest tools in try to scale our work, our influence and our impact. Openness is also the best way to ensure both a better supply chain as well as a better demand for things that are demonstrable better. A quick side note to those who argue that transparency isn’t an answer because all people don’t have to tools to understand data/information/etc to hold others accountable, it doesn’t mean you don’t do transparency at all. There will always be groups or people naturally motivated to hold you to account, whether it is your competitors, clients, the media, citizens or even your own staff. Transparency is partly about accountability and partly about reinforcing a natural motivation to do the right thing. The necessity of neutral, safe, well resourced and collaborative sandpits is critical for agencies to quickly test and experiment outside the limitations of their agencies (technical, structural, political, functional and procurement). Such places should be engaged with the sectors around them. Neutral spaces that take a systems view also start to normalise a systems view across agencies in their other work, which has huge ramifications for transformation as well as innovation. Seeking and sharing – sharing knowledge, reusable systems/code, research, infrastructure and basically making it easier for people to build on the shoulders of each other rather than every single team starting from scratch every single time. We already have some communities of practice but we need to prioritise sharing things people can actually use and apply in their work. We also need to extend this approach across sectors to raise all boats. Imagine if there was a broad commons across all society to share and benefit from each others efforts. We’ve seen the success and benefits of Open Source Software, of Wikipedia, of the Data Commons project in New Zealand, and yet we keep building sector or organisational silos for things that could be public assets for public good. Require user research in budget bids – this would require agencies to do user research before bidding for money, which would create an incentive to build things people actually need which would drive both a user centred approach to programs and would also drive innovation as necessary to shift from current practices Treasury would require user research experts and a user research hub to contrast and compare over time. Staff mobility – people should be supported to move around departments and business units to get different experiences and to share and learn. Not everyone will want to, but when people stay in the same job for 20 years, it can be harder to engage in new thinking. Exchange programs are good but again, if the outcomes and lessons are not broadly shared, then they are linear in impact (individuals) rather than scalable (beyond the individuals). Support operational leadership – not everyone wants to be a leader, disruptor, maker, innovator or intrapreneur. We need to have a program to support such people in the context of operational leadership that isn’t reliant upon their managers putting them forward or approving. Even just recognising leadership as something that doesn’t happen exclusively in senior management would be a huge cultural shift. Many managers will naturally want to keep great people to themselves which can become stifling and eventually we lose them. When people can work on meaningful great stuff, they stay in the public service. A public ‘Innovation Hub’ – if we had a simple public platform for people to register projects that they want to collaborate on, from any sector, we could stimulate and support innovation across the public sector (things for which collaboration could help would be surfaced, publicly visible, and inviting of others to engage in) so it would support and encourage innovation across government, but also provides a good pipeline for investment as well as a way to stimulate and support real collaboration across sectors, which is substantially lacking at the moment. Emerging tech and big vision guidance - we need a team, I suggest cross agency and cross sector, of operational people who keep their fingers on the pulse of technology to create ongoing guidance for New Zealand on emerging technologies, trends and ideas that anyone can draw from. For government, this would help agencies engage constructively with new opportunities rather than no one ever having time or motivation until emerging technologies come crashing down as urgent change programs. This could be captured on a constantly updating toolkit with distributed authorship to keep it real. Convergence of effort across sectors – right now in many countries every organisation and to a lesser degree, many sectors, are diverging on their purpose and efforts because there is no shared vision to converge on. We have myriad strategies, papers, guidance, but no overarching vision. If there were an overarching vision for New Zealand Aotearoa for instance, co-developed with all sectors and the community, one that looks at what sort of society we want into the future and what role different entities have in achieving that ends, then we would have the possibility of natural convergence on effort and strategy. Obviously when you have a cohesive vision, then you can align all your organisational and other strategies to that vision, so our (government) guidance and practices would need to align over time. For the public sector the Digital Service Standard would be a critical thing to get right, as is how we implement the Higher Living Standards Framework, both of which would drive some significant transformation in culture, behaviours, incentives and approaches across government. Funding “Digital Public Infrastructure” – technology is currently funded as projects with start and end dates, and almost all tech projects across government are bespoke to particular agency requirements or motivations, so we build loads of technologies but very little infrastructure that others can rely upon. If we took all the models we have for funding other forms of public infrastructure (roads, health, education) and saw some types of digital infrastructure as public infrastructure, perhaps they could be built and funded in ways that are more beneficial to the entire economy (and society). Agile budgeting – we need to fund small experiments that inform business cases, rather than starting with big business cases. Ideally we need to not have multi 100 million dollar projects at all because technology projects simply don’t cost that anymore, and anyone saying otherwise is trying to sell you something If we collectively took an agile budgeting process, it would create a systemic impact on motivations, on design and development, or implementation, on procurement, on myriad things. It would also put more responsibility on agencies for the outcomes of their work in short, sharp cycles, and would create the possibility of pivoting early to avoid throwing bad money after good (as it were). This is key, as no transformative project truly survives the current budgeting model. Gov as a platform/API/enabler (closely related to DPI above) – obviously making all government data, content, business rules (inc but not just legislation) and transactional systems available as APIs for building upon across the economy is key. This is how we scale transformation across the public sector because agencies are naturally motivated to deliver what they need to cheaper, faster and better, so when there are genuinely useful reusable components, agencies will reuse them. Agencies are now more naturally motivated to take an API driven modular architecture which creates the bedrock for government as an API. Digital legislation (which is necessary for service delivery to be integrated across agency boundaries) would also create huge transformation in regulatory and compliance transformation, as well as for government automation and AI. Exchange programs across sectors – to share knowledge but all done openly so as to not create perverse incentives or commercial capture. We need to also consider the fact that large companies can often afford to jump through hoops and provide spare capacity, but small to medium sized companies cannot, so we’d need a pool for funding exchange programs with experts in the large proportion of industry. All of system service delivery evidence base – what you measure drives how you behave. Agencies are motivated to do only what they need to within their mandates and have very few all of system motivations. If we have an all of government anonymised evidence base of user research, service analytics and other service delivery indicators, it would create an accountability to all of system which would drive all of system behaviours. In New Zealand we already have the IDI (an awesome statistical evidence base) but what other evidence do we need? Shared user research, deidentified service analytics, reporting from major projects, etc. And how do we make that evidence more publicly transparent (where possible) and available beyond the walls of government to be used by other sectors? More broadly, having an all of government evidence base beyond services would help ensure a greater evidence based approach to investment, strategic planning and behaviours. Yesterday my friend and fellow open source speech coder Jean-Marc Valin (of Speex and Opus fame) emailed me with some exciting news. W. Bastiaan Kleijn and friends have published a paper called “Wavenet based low rate speech coding“. Basically they take bit stream of Codec 2 running at 2400 bit/s, and replace the Codec 2 decoder with the WaveNet deep learning generative model. What is amazing is the quality – it sounds as good an an 8000 bit/s wideband speech codec! They have generated wideband audio from the narrowband Codec model parameters. Here are the samples – compare “Parametrics WaveNet” to Codec 2! This is a game changer for low bit rate speech coding. I’m also happy that Codec 2 has been useful for academic research (Yay open source), and that the MOS scores in the paper show it’s close to MELP at 2400 bit/s. Last year we discovered Codec 2 is better than MELP at 600 bit/s. Not bad for an open source codec written (more or less) by one person. Now I need to do some reading on Deep Learning! First of all, download and install the latest Pat package from the GitHub project page. Enable TNC in packet12 mode (band A*). Tune band A to VECTOR channel 420 (or 421 if you can't reach VA7EOC on simplex). Set HBAUD to 1200 in /etc/default/ax25. and use them to connect to your preferred Winlink gateways. If it doesn't look like ax25 can talk to the radio (i.e. the TX light doesn't turn ON), then it's possible that the tmd710_tncsetup script isn't being run at all, in which case the TNC isn't initialized correctly. 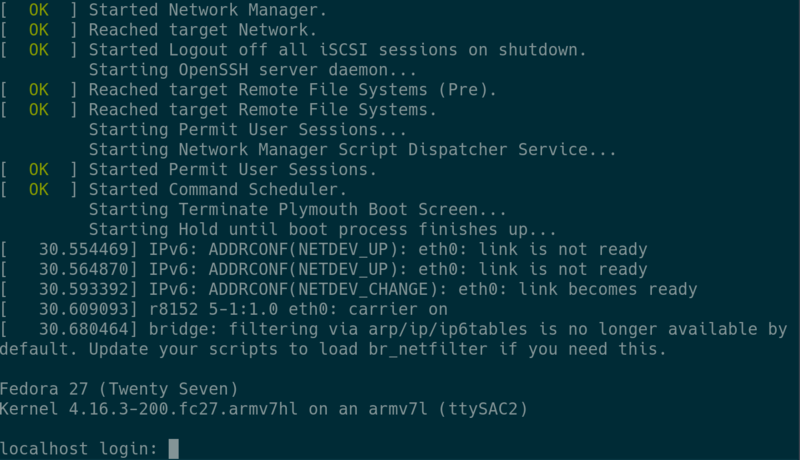 If you can establish a connection, but it's very unreliable, make sure that you have enabled software flow control (the -s option in tmd710_tncsetup). If you can't connect to VA7EOC-10 on UHF, you could also try the VHF BCFM repeater on Mt Seymour, VE7LAN (VECTOR channel 65). I registered for city2surf this morning, which will be the third time I’ve run in the event. In 2016 my employer sponsored a bunch of us to enter, and I ran the course in 86 minutes and 54 seconds. 2017 was a bit more exciting, because in hindsight I did the final part of my training and the race itself with a torn achilles tendon. Regardless, I finished the course in 79 minutes and 39 seconds — a 7 minute and 16 second improvement despite the injury. This year I’ve done a few things differently — I’ve started training much earlier, mostly as a side effect to recovering from the achilles injury; and secondly I’ve decided to try and raise some money for charity during the run. Specifically, I’m raising money for the Black Dog Institute. They were selected because I’ve struggled with depression on and off over my adult life, and that’s especially true for the last twelve months or so. I figure that raising money for a resource that I’ve found personally useful makes a lot of sense. I’d love for you to donate to the Black Dog Institute, but I understand that’s not always possible. Either way, thanks for reading this far! I recently electrocuted my little sail boat. I built the battery pack using some second hand Lithium cells donated by my EV. However after 8 years of abuse from my kids and I those cells are of varying quality. So I set about developing an Amp-Hour tester to determine the capacity of the cells. The system has a relay that switches a low value power resistor (OK some coat hanger wire) across the 3.2V cell terminals, loading it up at about 27A, roughly the cruise current for my e-boat. It’s about 0.12 ohms once it heats up. This gets too hot to touch but not red hot, it’s only 86W being dissipated along about 1m of wire. When I built my EV I used the coat hanger wire load trick to test 3kW loads, that was a bit more exciting! The empty beer can in the background makes a useful insulated stand off. Might need to make more of those. Across the cell under test is a CM090 BMS module from EV Power. That’s the good looking red PCB in the photos, onto which I have tacked the circuit above. These modules have a switch than opens when the cell voltage drops beneath 2.5V. Taking the base of either transistor to ground switches on the other transistor. In logic terms, it’s a “not set” and “not reset” operation. When power is applied, the BMS module switch is closed. The 10uF capacitor is discharged, so provides a momentary short to ground, turning Q1 off, and Q2 on. Current flows through the automotive relay, switching on the load to the battery. After a few hours the cell discharges beneath 2.5V, the BMS switch opens and Q2 is switched off. The collector voltage on Q2 rises, switching on Q1. Due to the latching operation of the flip flip – it stays in this state. This is important, as when the relay opens, the cell will be unloaded and it’s voltage will rise again and the BMS module switch will close. In the initial design without a flip flop, this caused the relay to buzz as the cell voltage oscillated about 2.5V as the relay opened and closed! I need the test to stop and stay stopped – it will be operating unattended so I don’t want to damage the cell by completely discharging it. The LED was inserted to ensure the base voltage on Q1 was low enough to switch Q1 off when Q2 was on (Vce of Q2 is not zero), and has the neat side effect of lighting the LED when the test is complete! So this cells a bit low, and won’t be finding it’s way onto my boat! Another alternative is a logging multimeter, one could even measure and integrate the discharge current over time. or I could have just bought or borrowed a proper discharge tester, but where’s the fun in that? It was fun to develop, a few Saturday afternoons of sitting in the driveway soldering, occasional burns from 86W of hot wire, and a little head scratching while I figured out how to take the design from an expensive buzzer to a working circuit. Nice to do some soldering after months of software based DSP. I’m also happy that I could develop a transistor circuit from first principles. I’ve now tested 12 cells (I have 40 to work through), and measured capacities of 50 to 75AH (they are rated at 100AH new). Some cells have odd behavior under load; dipping beneath 3V right at the start of the test rather than holding 3.2V for a few hours – indicating high internal resistance. My beloved sail e-boat is already doing better. Last weekend, using the best cells I had tested at that point, I e-motored all day on varying power levels. One neat trick, explained to me by Matt, is motor-sailing. Using a little bit of outboard power, the boat overcomes hydrodynamic friction (it gets moving in the water) and the sail is moved out of stall (like an airplane wing moving to just above stall speed). This means to boat moves a lot faster than under motor or sail alone in light winds. For example the motor was registering just 80W, but we were doing 3 knots in light winds. This same trick can be done with a stink-motor and dinosaur juice, but the e-motor is completely silent, we forgot it was on for hours at a time! As our usual venue at Infoxchange is not available this month due to construction work, we'll be joining forces with DrupalMelbourne at the State Library of Victoria. Chrome’s syncing is pretty magical: you can see your browsing history from your phone, tablet, and computers, all in one place. When you install Chrome on a new computer, it automatically downloads your extensions. You can see your bookmarks everywhere, it even lets you open a tab from another device. There’s one thing that’s always bugged me, however. When you click a link, it turns purple, as all visited links should. But it doesn’t turn purple on your other devices. Google have had this bug on their radar for ages, but it hasn’t made much progress. There’s already an extension that kind of fixes this, but it works by hashing every URL you visit and sending them to a server run by the extension author: not something I’m particularly comfortable with. And so, I wrote Click Sync! Syncs your ‘visited’ link status between Chrome installs. While you’re thinking about how Chrome syncs between all your devices, it’s good to setup a Chrome Passphrase, if you haven’t already. This encrypts your personal data before it passes through Google’s servers. Unfortunately, Chrome mobile doesn’t support extensions, so this is only good for syncing between computers. If you run into any bugs, head on over the Click Sync repository, and let me know! On Saturday Mark and I had a pleasant day bench testing High Altitude Balloon (HAB) Telemetry protocols and demodulators. Project Horus HAB flights use a low power transmitter to send regular updates of the balloons position and status. To date, this has been sent using RTTY, and demodulated using Fldigi, or a special version modified for HAB work called dl-Fldigi. Lora is becoming common in HAB circles, however I am confident we can do better using a custom protocol and well engineered, and most importantly – open source – modems. While very well designed and conveniently packaged, Lora is not magic – modem performance is defined by physics. A few year ago, Mark and I developed and flight tested a binary protocol (Horus Binary) for HAB flights. We have dusted this off, and I’ve written a C callable API (horus_api.c) to make Horus RTTY and Binary easy to use. The plan is to release a cross platform GUI application that supports Horus Binary, so anyone with a SSB receiver can join in the fun of tracking Horus flights using Horus Binary. A good HAB telemetry protocol works at low SNRs, and has fast updates to allow accurate positioning of the payload during the final decent. A way of measuring the performance is Packet Error Rate (PER) – how many telemetry packets get through at a given Signal to Noise Ratio (SNR). So we generated some synthetic Horus RTTY and Binary packets at calibrated SNRs using GNU Octave simulation code (fsk_horus.m), then played the wave files through several modems. where Rb is the bit rate and BW is the noise bandwidth you want to measure SNR in. Eb/No is handy as it normalises for the effect of bit rate and noise bandwidth, making modem comparison easier. The older dl-Fldigi is a few dB behind the more modern Fldigi. Our Horus RTTY and especially Binary protocols are doing very well. At the same bit rate (Eb/No curve), Horus Binary is 9dB ahead of dl-Fldigi, which is a very useful gain; at least double the Line of Site (LOS) range, and equivalent to having nearly 10x the transmit power. The Binary packets are fast as well, allowing for rapid position updates in the final descent. Trade offs are possible, for example if we slowed Horus Binary to 50 bits/s, it’s packet duration would be 6.4s (about the same as RTTY) however 50% PER would occur at a SNR of -13dB, a 15dB improvement over dl-Fldigi.